Westside Veterinary Clinic was opened in 1985 by Mark and Dr. Lynn Shively. Over the years we have increased our capability in serving the local area's veterinary needs with the addition of Dr. Linda Patton in 1991, Dr. Jill Brady in 2009, and Dr. Steve Jacobek in 2012. Dr. Lynn Shively retired in May, 2013. 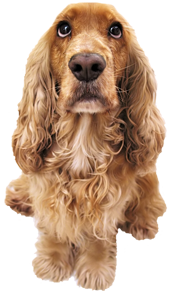 The clinic's mission is to provide the best possible care for the pet and pet owner. Good pet health requires the partnership of the pet owner and the veterinary professional, thus we feel that caring for and educating the pet owner is essential in improving and/or maintaining pet health. We appreciate the opportunity to serve our clients and thus strive to be honest, courteous, and respectful in all interactions. Furthermore, we aim to perform appointments and services in a timely manner, without compromising the level of care needed by the pets entrusted to us.